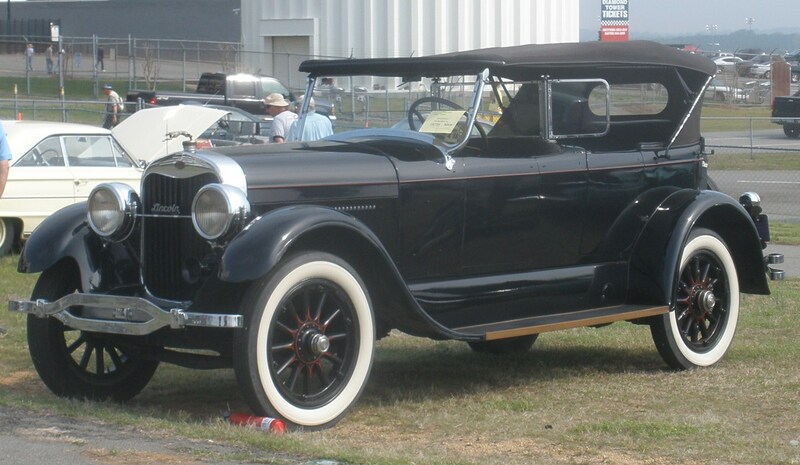 The next car which I shall discuss now is an American car which featured in the Tintin book, “Cigars of the Pharaoh”. 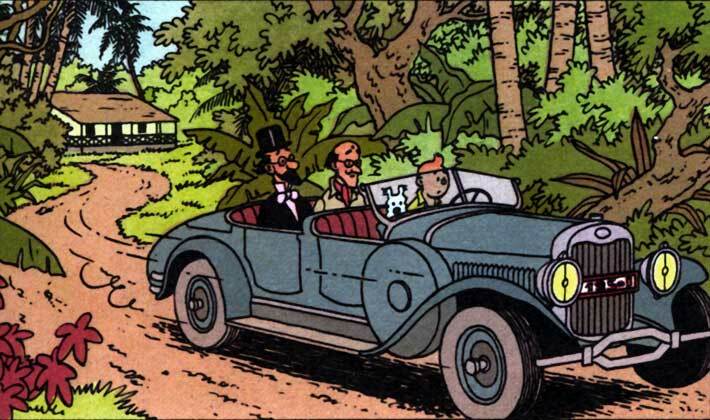 There is a scene where Tintin is driving two of the Egyptologists to the sanatorium in a blue car. This car is the Lincoln Model L.
Lincoln is the luxury brand owned by Ford Motor Company and competes with Cadillac, Mercedes, Lexus, BMW, Audi and Infinity in USA. The Lincoln Motor Company was founded in 1917 by Henry M Leland, who was a former manager with Cadillac. The brand has been owned by the Ford Motor Company since 1922. The cars are mainly sold in the USA, China and Middle East. Lincolns have been frequently used by the Presidents of the USA. In fact, the first car specially built for use by the President of the USA was a 1939 Lincoln V 12Convertible. In 1950, two Lincoln Cosmopolitan Limousines were used by President Truman. The car in which President Kennedy was assassinated was a 1961 Lincoln Continental convertible. Lincolns were the preferred choice of US Presidents through the 1960s, 70s and 80s. The Presidential car of Ronald Reagan, when as assassination attempt was made on him, was also a Lincoln. Coming to the car in “Cigar of the Pharaoh”. 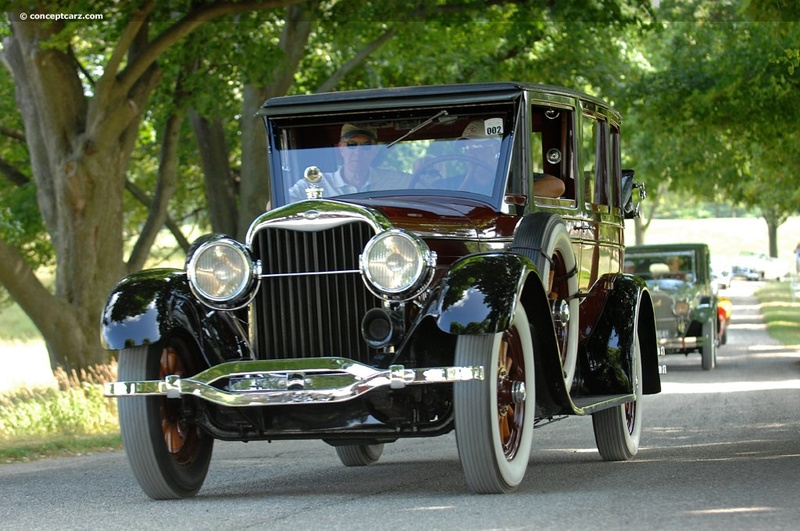 The Lincoln Model L was the first automobile produced by the Lincoln Motor Company. It was produced between 1917 and 1930. 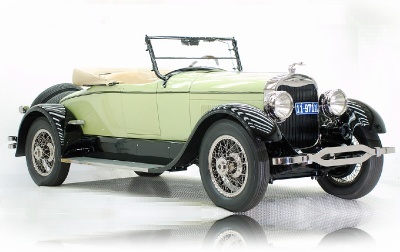 This car was designed by the founder Leland’s son-in-law Angus Woodbridge. The car hit hard times on launch due to recession in USA. This design was also considered as old fashioned. 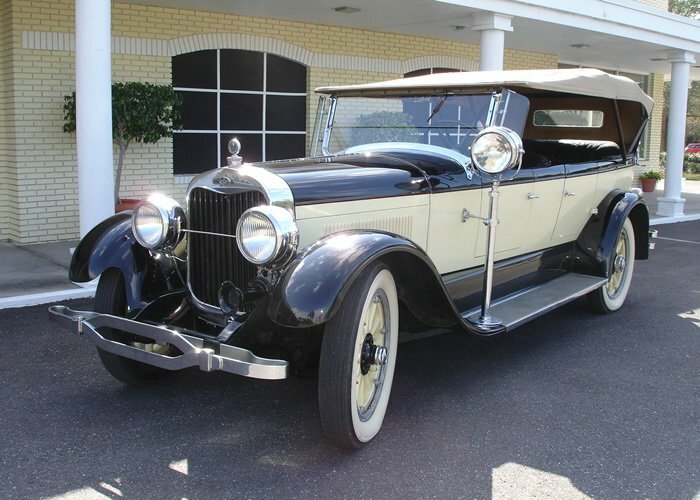 In 1922, the company went bankrupt and was bought by Ford. In a turn of events and sweet revenge, Henry Ford had Leland and his son removed from the company. I am saying revenge because, Leland had been responsible for Ford’s removal from his second company in 1909 which was later renamed as Cadillac. This car had a 5863 cc 60 Degree V8 engine with an L Head which produced 81 HP at 2800 rpm. The torque was transmitted to the rear wheels using a three speed gear box and propelled the car to a guaranteed speed of at least 112 km/h (70 mph). The 60 degree separation of the cylinder blocks helped cut down on synchronous vibrations which was common on similar engines with 90 degree separation. 2, 3 -window, 4 door sedans. Babcock, Holbrook, Judkins, Lang, LeBaron, Locke, Murray, Towson, and Willoughby in the 1920s while Murphy, Rollston and Waterhouse were added in the 1930s. 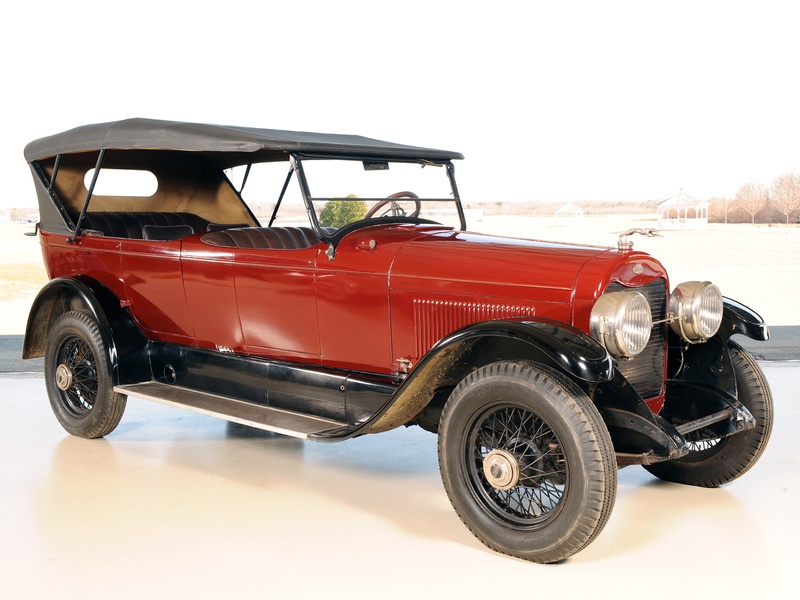 In 1930, this car was replaced by the Lincoln Model K.